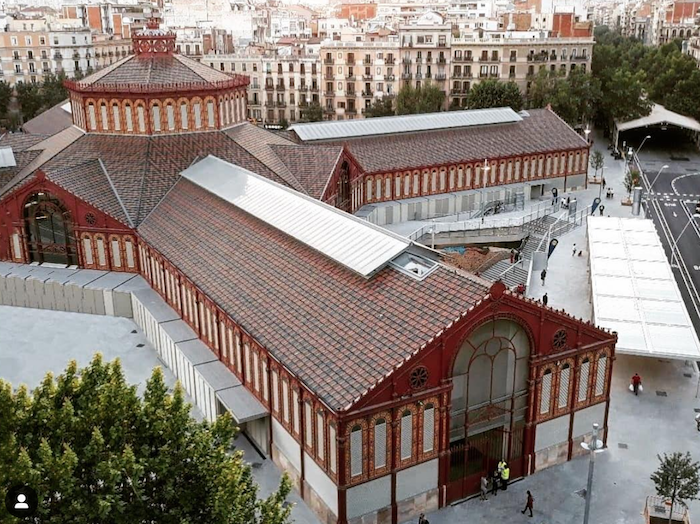 After almost a decade of work and 80 million euros worth of investment, the Mercat de Sant Antoni has finally reopened its doors, much to the excitement of locals. The renovated market, an iconic building within Barcelona, is almost its own small city. It totals an area of 55,388 square metres, which are distributed over five floors, four of which are underground. This architectural wonder, originally built between 1879 and 1882 by the architect Antoni Rovira i Trias, is entering a new stage of its life under renovators from the architectural firm of Ravetllat Ribas, who have readapted it with a new modern twist. Below we will discuss the exciting developments you can look forward to on your visit to the newest market in Barcelona. The new market will have a total of 235 different establishments, which is slightly less than previously, however, allowing more space in total with widened corridors and store spaces. In the very heart of the market you will now find 52 fresh produce stalls, which will include the likes of fresh fruits, vegetables, fish and meats amongst other things. Another 105 non-food market stalls will also be located in the interior, in the outer section, while the Sunday book market will be located fully outdoors. You can also look forward to long visiting hours with the fresh produce market open from Monday to Saturday, 8am to 8pm, the non-food market on Mondays, Wednesdays, Fridays and Saturdays, 8am to 8.30pm, and the Sunday book market – as indicated –open on Sundays. The famous Sunday market will be a permanent home for booksellers, selling books, postcards, stamps and trinkets alike. Running along the outer perimeters of the market, you will be able to find 78 stalls under their new modern retractable canopies, installed in the revamp to replace the old awnings. Perhaps two of the most exciting features to come from the renovation are the new supermarket and gym that are now installed in the market’s basement floors. The supermarket chain Lidl has announced its plans to make this new branch of their store the most emblematic in Barcelona. Located on the first underground floor of the market, the new store is spacious coming in at an area of 1300 square metres. The store is also doing its part to be eco-friendly, installing a 5-metre high plant wall at the entrance in a bid to help balance its CO2 footprint. As well as this, they have cleverly installed kinetic flooring, meaning customers help to generate electricity for the store simply by walking around it. The other new tenant, finished around autumn 2018, is a branch of the low cost gym Duet Fit. The supermarket and gym are a first for this kind of market place, which will be a welcome addition for the neighbourhood. The Mercat de Sant Antoni has always been historically important in Barcelona, having been built on the remnants of the fortress of Sant Antoni, part of the defensive system of the ancient medieval city. Aiming to retain the ancient historical importance of the market, the renovators have left parts of it as an open-air museum. Not only will the medieval wall from the ancient city of Barcelona be on view, but during the renovations parts of the fortress were able to be recovered in surprisingly good condition and will also be on display. Additionally, you will be able to see the remains of the legendary Roman road Via Augusta, with plans to make it into a new museum space as part of the Museu d’Història de Barcelona. 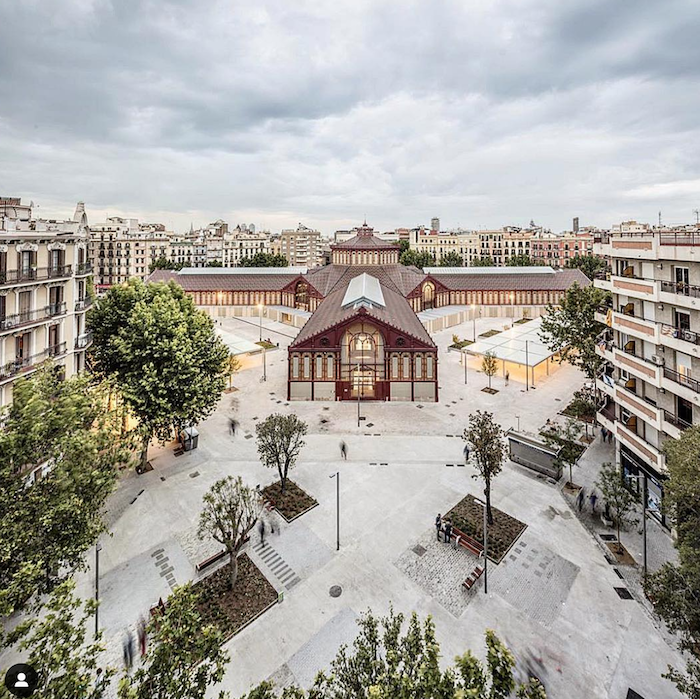 One of the main goals when renovating the Mercat de Sant Antoni has been to make sure the space is something that contributes to the neighbourhood. Whilst retaining the beautiful architecture and characteristics of the old market, the new market is a space where the local community can meet to drink, chat, eat and much more. So, what are you waiting for? Go down and visit the new Mercat de Sant Antoni and experience all it has to offer!